2019 Tax season is upon us!!!! 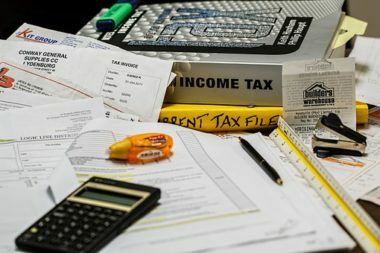 If you are one of the millions of people who are always looking forward to a huge tax refund, this article is right for you. Why you may ask? because getting a huge tax refund is not as positive as many think. There are some people who have trouble saving money. They reason, that giving more to the government each month is a forced way to save. If that is you, and you are good with that, then that is ok. If that is the only way you can save (by the government keeping your hard-earned cash) and you are ok with it, then read no more! You can move on. However, here at Saving For Hope, we believe that is not a solid financial strategy and we are going to tell you why. If you are getting a huge tax refund, for the most part, means that you are paying too much. The federal government takes money out of each paycheck you received throughout the year and puts that money away (on an interest-bearing account). At the end of the year, when you file your tax return (KEY word RETURN), the federal government reimburses you for the money they already took from you. That means the government had your money for at least 12 months in their possession creating interest for them. (which they keep) Do you see something wrong with that picture? We do!! That money should be making money for you, not the government, and it should be creating better opportunities for you and your family. If that picture troubles you as much as it troubles us, we at Saving For Hope, want to give you a few practical tips to have a better financial plan. But before we get into it, the question is: how do you know you are paying too much? Or more importantly, how do you know you are getting a massive refund? You should never speculate when it comes to taxes. This is different for each household. It is different for people that are, for example, self-employed or people that own a business, than for people that work a regular 8 to 5 job. However, in 2018 the average tax refund was $2,899.00 which means that is the medium number. If you are getting twice as much as that, then maybe you are paying too much. if you are getting half of that number, as a rule of thumb, you might be OK. If you are still not sure, you can always consult the 505 publication from the IRS, use the IRS’s withholding calculator, or talk to your accountant to create a plan that fits your needs. After you determined that you are paying too much, follow the next steps. The first thing you need to do, if you want to pay less each month (which means the government will have less of your money each paycheck) is to fill out a new W-4 and give it your employer. The W-4 is that tax form you filled out when you were hired, that no one really pays attention to. Yeah that one! But that form is the key of getting more money in your pocket to work for you. To file a new W-4 is simple. Go to your HR department and ask for one that you can fill out, or you can print one yourself and give it to your HR person. If you want to go that route, click here to get the form and some instructions in how to fill out. Second, make sure that you read the form carefully. Most people want to rush filling a W-4 out, but putting some time into it, can be the difference between having $100 to $150 more each month. Click To Tweet Pay attention to your situation. Remember, no one knows your situation better than you. Consider life changing events, like having kids, marriage, taking care of a sick parent, etc. Remember, the higher the number you put on the W-4 the less money the government keeps each paycheck. But be careful, don’t get greedy, because if you pay less each paycheck, you might need to pay money to the government when you file your return at the end of the year. Third, the idea behind the tax process is balance. You need to pay enough taxes that you don’t have to come up with out of pocket money at the end of the year, but not too much that you get a huge tax return either, that is balance. Click To Tweet A good tax return should be way under the average. That way you will have extra money each month that can be put to work hard for you. We at Saving For Hope recommend that you use that extra $100.00 a month and put it into a retirement account like a Roth IRA or a Roth 401-K first. If you are already maximizing those accounts, then you can look for other options like mutual funds, kid’s 529 accounts, etc. We have articles that explain each of those accounts for you and the reasons why you need to have them. Click on the links for more info. Finally, as we always emphasize, make sure that honesty and integrity dominates your finances. Dishonesty on your returns to make more money is not the right way to go about it. But be smart, use all the deductions you are allowed legally to use and make use of every penny you keep to make more money for you. Remember, a penny saved is a penny earned, which is a penny that can be invested to make another one, and another one, and so on. There is no reason why the government can do that with your money and not you. It is not right, and it is one the of the worst financial moves you can make. Don’t delay, start today. Enjoy!! ← How Much Time Did You Waste Last Year?